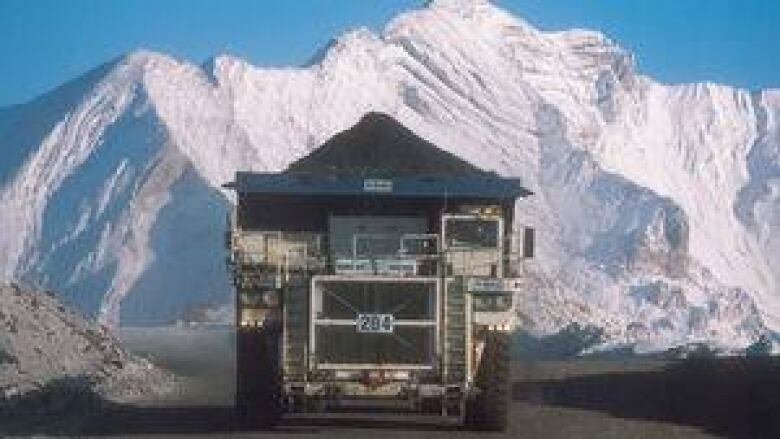 A federal judge has ruled he will not grant an injunction to stop Chinese workers from coming to Canada to work at a new coal mine in northern B.C. A federal judge will not grant an injunction to stop Chinese workers from coming to Canada to work at a new coal mine in northern B.C., because the company and workers followed all the necessary rules. The ruling means more than 200 Chinese mine workers who were hired to do specialized work at the underground mine in Tumbler Ridge will be able to come to Canada on temporary work permits. About a dozen of those workers have already arrived in Tumbler Ridge and are studying English at the local college. The International Union of Operating Engineers and the Construction and Specialized Workers' Union were seeking an injunction to stop the rest of the workers from arriving, while they fight for a judicial review of all the temporary work permits. The unions want the Federal Court to overturn Ottawa's decision to allow HD Mining International to bring the workers in from China. Last month Human Resources Minister Diane Finley said the Conservative government isn't satisfied HD Mining followed all the rules when it sought foreign worker permits for its proposed mine near Tumbler Ridge. Judge James Russell said that HD Mining properly followed the rules when applying for its foreign worker permits. "We have 60 workers who are all but on their way and who have acquired all that our system says they need to come to Canada," he wrote in his ruling. "The public also has an interest in ensuring the individuals who have been authorized to come to Canada are not left in a legal and professional limbo through no fault of their own and who may well not learn of the situation they face until they make the journey and arrive at a port of entry." Russell also said that the unions' case was speculative and did not clearly prove that the imminent arrival of the 60 Chinese workers would cause "irreparable harm." "I have no way of quantifying that loss either for any individual or collectively," he wrote, saying the union failed to provide clear and convincing evidence that there are Canadian miners who are willing, able and qualified to carry out the work the Chinese miners have been hired to do. The company issued a statement saying the decision was a victory that totally vindicated its decision to hire the miners. "HD Mining has a very strong reputation with the community of Tumbler Ridge, and we are right now providing employment to many Canadians at the site, directly or through contractors," HD Mining chair Penggui Yan said in a statement on Friday. "There are hundreds of thousands foreign workers working under this program in Canada today and we do not understand why the unions would try and shut down our project. How would that provide jobs for anyone?" In the meantime, a judicial review is underway after the unions won a victory in court last week forcing the company to hand over all the paperwork from their recruiting campaign, including ads the company ran trying to recruit Canadians. Labour unions have raised concerns that job ads posted on the government of Canada’s job bank last year listed speaking Mandarin as an asset. They are also worried that HD Mining might try to bring the rest of the miners to Canada ahead of schedule in order to render the judicial review moot. But the Judge argued that this was unlikely, considering the costs involved and the fact that the company is now under scrutiny both by the media and the government. The judicial review process is expected to take two or three months. The B.C. Federation of Labour says documents show it will be 14 years before Canadians replace all the temporary foreign workers. On Thursday, one of the miners already in Canada filed a human rights complaint alleging content on the United Steelworkers union website is likely to create contempt for Chinese people.